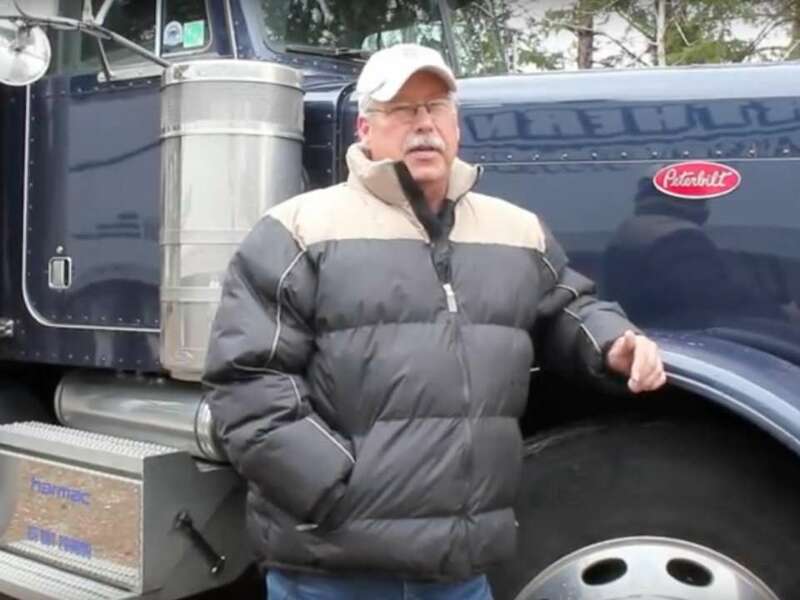 19,000 truck drivers just scored up to $100 million from one of America’s biggest trucking companies – and it’s the latest federal court win by truckers for better labor practices Rachel Premack Mar 14, 2019, 09.02 PM Smart-Trucking.com/YouTube Truck drivers who worked for Swift Transportation, one of the largest trucking companies in the US, are eligible for a payout of up to $100 million. According to the class action suit, they were misclassified as independent contractors instead of company drivers. It’s the latest win for truck drivers in the nation’s courts . Swift Transportation, one of the largest trucking companies in the US, has agreed to pay up to $100 million to 19,000 former and current truck drivers in a class action suit filed in the United States District Court for the District of Arizona. The truck drivers filed against Swift in Dec. 2009. They claimed they were misclassified as independent contractors instead of employees, and were thus locked out of certain benefits under federal labor law. One of those benefits includes being paid minimum wage for every hour that truck drivers work. Traditionally, truckers are just paid for every mile that they drive. The case returns to a question that’s been plaguing America’s courts in recent years – whether truck drivers deserve minimum wage for nondriving duties. Swift did not respond to Business Insider’s request for comment. Dan Getman, a co-lead attorney representing the 19,000 truck drivers involved in the federal case, wrote in a legal statement filed on March 11 that this case challenges Swift’s “owner operator” system. That allows Swift, and most other trucking companies, to employ truck drivers as independent workers even as they acted as full-time employees. “(T) heir actions ultimately generated an exceptional $100 million-plus-dollar fund for the class of thousands of drivers and may potentially result in changes to the industry that could benefit all misclassified drivers,” Getman wrote. Read more: Truck drivers wait an average of 2.5 hours at warehouses without getting paid – here are the 20 cities where truckers wait the longest The decision to pay out speaks to other federal court cases appearing around the country in favor of ensuring truck drivers are paid for every hour they spend on the road. The Supreme Court ruled in Jan. that contract truck drivers, or owner-operators, at a Missouri trucking company should be allowed to settle disputes in court, rather than arbitration. That suit started when the plaintiff in the case, owner-operator Dominic Oliveira, sued his employer for not paying him minimum wage. And a federal court in Arkansas decided in a class-action suit in Oct. 2018 that drivers should be paid for every hour truckers spend in their trucks while not sleeping – 16 hours a day of at least minimum-wage pay. In 2017, a Nebraska court decided that trucking giant Werner Enterprises must pay $780,000 to 52,000 student truck drivers after being accused of pay-practice violations. Another major carrier, C.R. England, paid $2.35 million in back wages to more than 6,000 drivers in 2016 .